The team of researchers dismiss the idea of having three main meals through the day. While you may think that eating less and skipping your meals may help you lose weight and boost overall health, a new study points to something opposite. 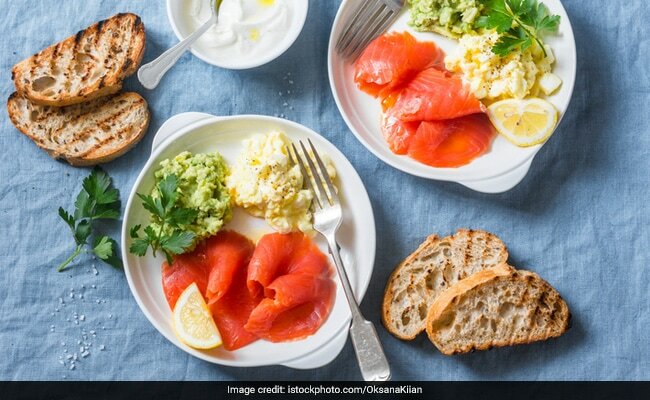 According to a new study, presented at this year's European Association for the Study of Diabetes (EASD) Annual Meeting in Lisbon by the University of Athens, it is better to eat frequently to keep your weight in check. The team of researchers dismiss the idea of having three main meals through the day and instead suggest that having six small meals a day may be better than three large meals, especially if you are overweight or obese. ​For the study, the team examined a group of 47 obese individuals with pre-diabetes or type 2 diabetes. The participants were out on a diet for six months which had the same number of calories but the frequency of eating varied. Half of them were made to follow a diet where they ate six meals in a day and half of them were told to have the three regular meals of the day. The groups swapped their diets after a period of three months. The findings showed that people who followed the six-meal plan experienced a decrease in their glycated haemoglobin and glucose levels, indicating improved blood sugar control, the research found. It was also seen that among those with prediabetes and severely impaired glucose tolerance, eating six meals reduced the occurrence of high insulin levels, and delayed the time taken for blood glucose to peak, after sugars were consumed. The results indicate that it might be better for your health to eat "little and often". All the participants consumed the same amount of calories and the diets were especially designed to help them lose weight. The researchers conclude that increased frequency of meals, consumed at regular times, may be a useful tool for doctors to treat patients with obesity and diabetes and especially those people who find it hard to diet and lose weight.